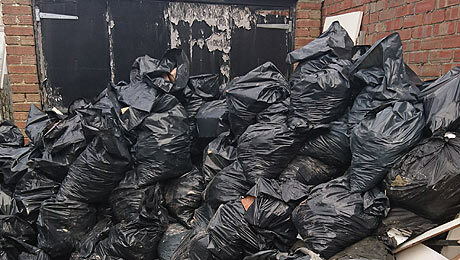 Here at Rubbish and Waste Clearance Portsmouth we are experienced in house clearances - we've successfully removed waste from numerous properties all over Hampshire. The reasons for house clearances are many - as a result of building work, home refurbishments, property downsizing and the removal of effects from deceased family members' homes. The latter are always dealt with professionally and with compassion. We'll clear single items too - like unwanted pieces of furniture and electrical appliances - and we'll also handle full loads which might consist of rubble, tables, pianos, beds - you name it. All can be efficiently and cost-effectively removed promptly and tidily. We offer a comprehensive garden clearance service - whether it's taking away your weeds or dismantling and disposing of an old garden shed*. 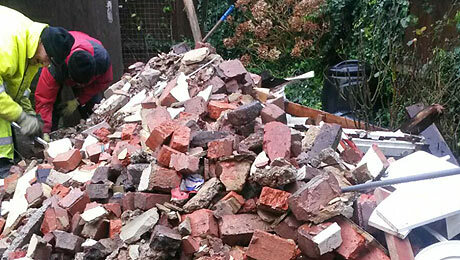 It could be a load of soil that needs removing or broken fencing - all can be removed without any difficulty. We even sweep up after we've finished the job. 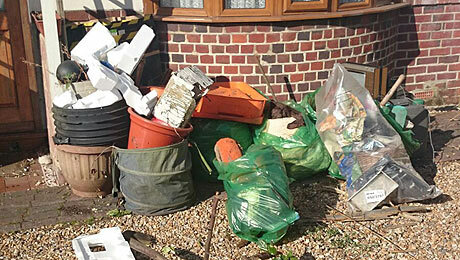 Please remember that we also remove building waste from building sites and commercial/office clearances.